Pecos is a FULL PERUVIAN, 1/2 ACCOYO male with a star studded show record from some of the largest, and most prestigious shows in the USA. Full Bolivian - Sheneka of Bolivia remains the most successful female in our herd. 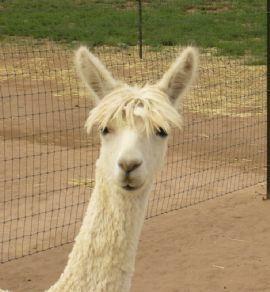 A full Bolivian Sheneka is originally from the Tillman's herd. She is gentle and easy to work with in the barn or pasture. She is a good mother and an easy breeder with show quality offspring. Her beige daughter, Aloha Pearl, placed 1st of 12 in the 2003 Alpaca Western Extravaganza. 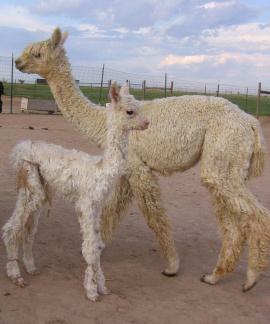 Her cria have ranged from white to medium brown. 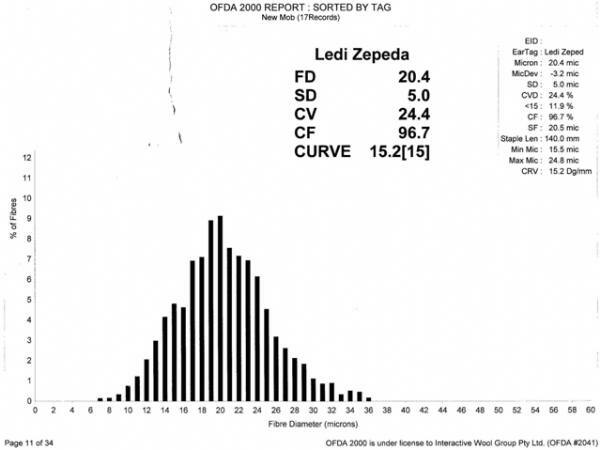 Ledi Zepeda was the first female born in my herd. Her mom, Sheneka of Bolivia, is one of our foundation females. Her dad, LCA Pecos, won many ribbons in the show ring. 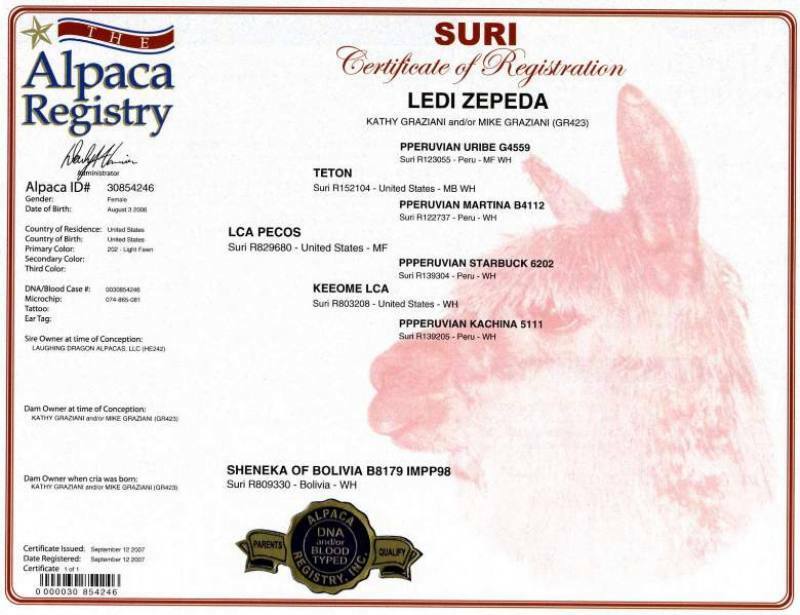 Ledi has never been in the show ring, but she placed in the top three in Spin-off competitions at MAPACA, AOBA Nationals, and Suri Network Symposium with her first fleece. 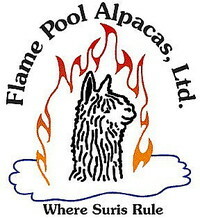 The judges described her fleece as very soft and fine with very uniform color, luster, and texture. 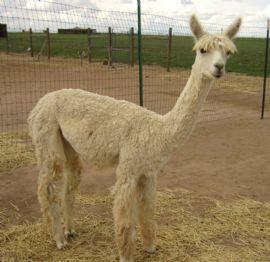 Ledi has been bred to NHSA Peruvian Victory an older herdsire (13) who has retained his fineness and lock structure! She is due in October.